Today’s post is all about a new store in Balzan called Dethroned, which is dedicated to improving the idea of buying vintage. I have quite a difficult relationship with the latter type of clothes, usually preferring never-worn items. 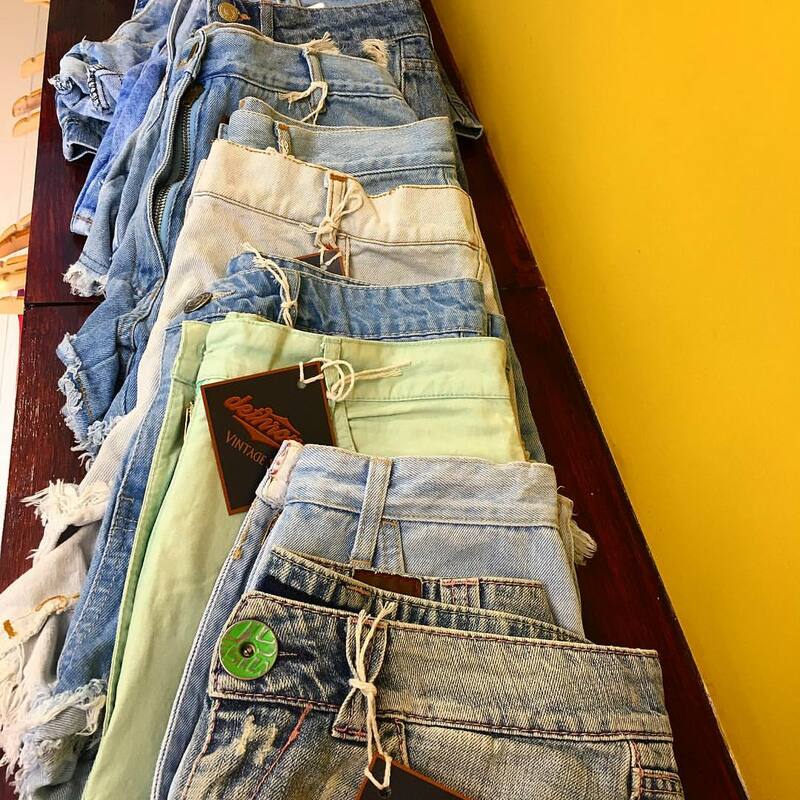 What with the culture changing towards more ethical and environmental-friendly practices in fashion, it would be ideal if we could re-use items that are still in good condition. Here is the rub – whereas in continents like the US and countries like the UK there are initiative like Savers and Goodwill, here in Malta we lack really good vintage stores. Yes, while it is true that the term vintage is a bit of a pseudonym for second-hand, there are those who prefer to say ‘previously loved’ or something that belonged to another era. That is why a store like Dethroned is promising. 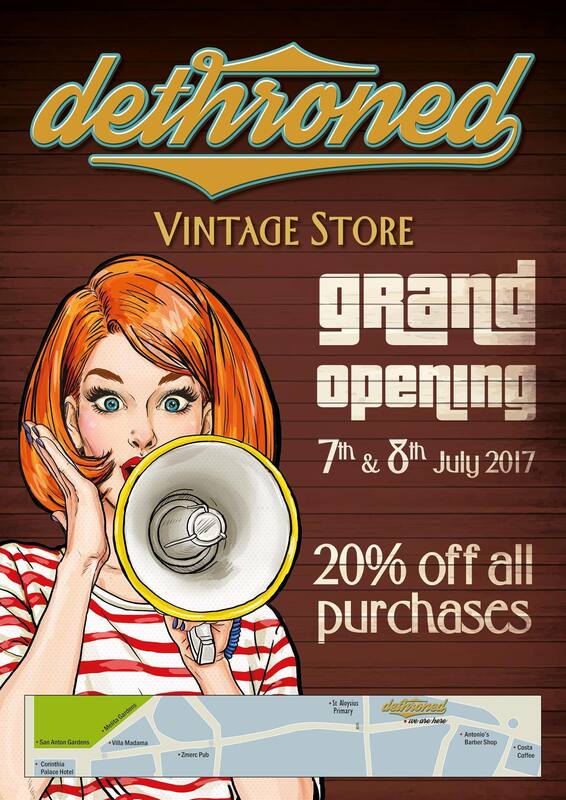 I have visited it twice already and this weekend it is opening its doors more officially, even offering 20% discount. The owners, an affable young couple, have poured heart and soul into their project and concept, not only in the type of merchandise that they are offering, but also in the store’s decor. Another bonus is that there is a tattoo section on site (run by Francesco). When you visit, you will not find clutter but a select number of items proudly displayed to have a better look. However, I will let you in on a little secret. 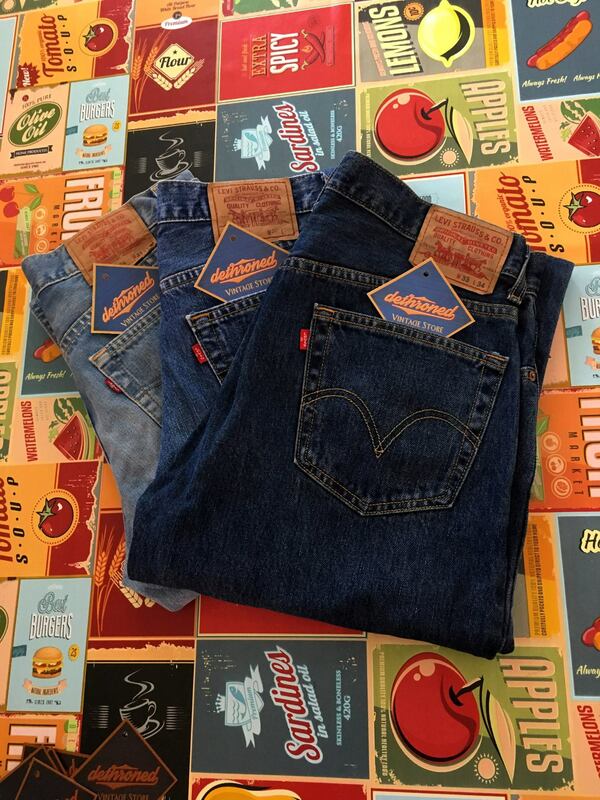 If you ask one of the owners what you are after, say a good old pair of denim, then they will go to their storage close by and get you a sample. So fret not, because you might find your next great jacket, dress, denim, or even sneakers through this method. Another important detail is that the items have been carefully brought over from aboard, washed and steamed so they can be worn straight away; that should assuage any doubt of the quality of the clothes. A lot of attention is evident in the way the clothes are chosen. 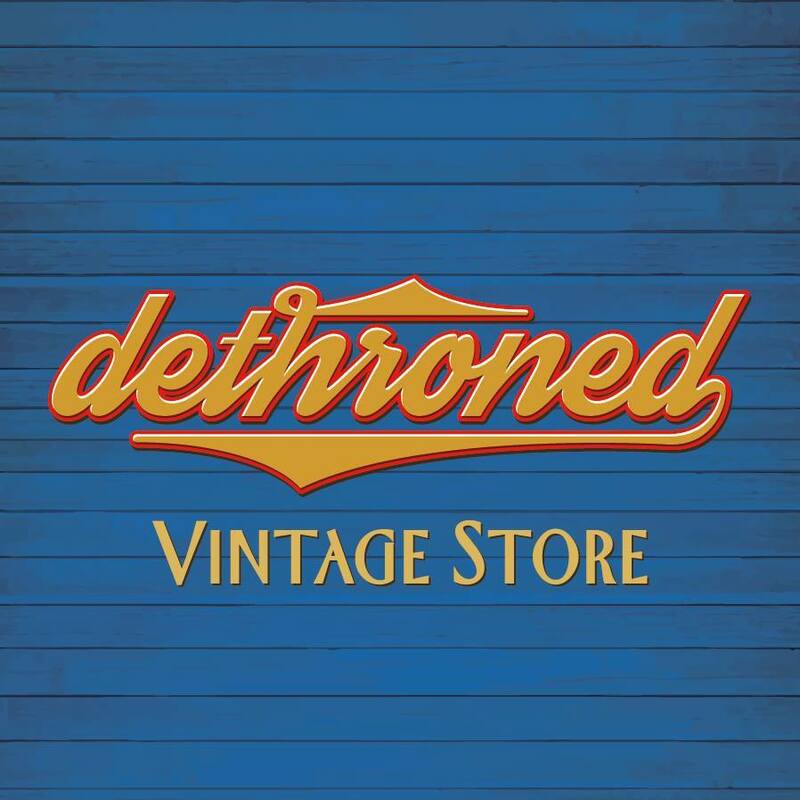 So this weekend, Friday 7th and Saturday 8th July, Dethroned will be open between 9-19.00! Enjoy finding special vintage gems! p.s. photos used are as seen on Facebook but I will try get a few of them in-store!